Some Netflix news for you this morning. It looks like a 49-year-old post office worker is facing a maximum of five years in federal prison after having plead guilty to federal theft charges. What was he stealing? 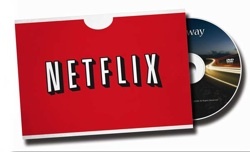 Oh, you know, some 3,000 Netflix DVDs over the years. Yup, that’s because Mr. Weathers was stealing them all at a Massachusetts distribution facility. In the chat room, Scott came up with an idea, if you were to do such a scam: instead of stealing the DVDs and never returning them, why not steal ’em, rip ’em, then send them on their way? What are the odds that someone is going to notice an extra day in mail delivery time? One more notch in Netflix streaming‘s belt, though.